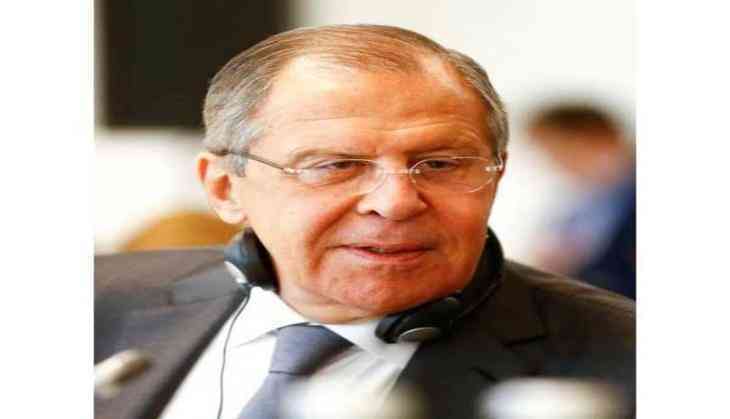 Russian Foreign Minister Sergei Lavrov said that he is astonished to see how many U.S. politicians are prone to mass hysteria regarding what he termed as "Russophobia." "We understand how uncomfortable it is now in Washington for those who are trying to demonstrate common sense on the backdrop of epidemic, paranoid Russophobia in the absence of any probe or at least asingle evidence over the months to prove Russia's interference into America's affairs," he said in an interview with the Kurdish television, according to TASS. "I have never thought that American politicians could be that prone to mass hysteria," he added. He reminisced that he worked with many of them in New York saying, "Maybe many of those who have yielded to this furor, which is abnormal for the US' political life, understand that it is not normal and is to be stopped some way." Lavrov added that Moscow and Washington are playing a unique role in the solution of highly complicated problems in different parts of the world and no one else can replace them in the international arena. The Foreign Minister also blamed the previous U.S. administration for undermining the Russian-American relations as he said, "We've inherited a huge heap of problems from the Barack Obama Administration. There are real time bombs and simply subversive acts that outgoing administration took in an agony when it was fully incapacitated by the results of the election and when it decided to spend the remaining time in the White House doing all sorts of unspeakable things in a bid to undermine the Russian-American relations."